If your blog were a theater, how well would it perform? How do the various parts of your blog contribute to your audience’s overall experience? To help you take the outsider’s view, here are a few starting points. Curtain call – How does the setting of your content impact your blog’s performance? All aspects of your blog form the setting for your performance. They should ideally enhance your story, or at least not hinder your audience when they want to enjoy what you’re offering them. It is basically a matter of giving your content the right package. Your blog posts are at the heart of the theater. Your performance takes place in the spotlights, on stage. I’m assuming you play your part well; in this post we’re looking at the other bits. The backdrop consists of all the things you set up early on: layout, colors, picture. The comments section is probably the equivalent of the bar. The adds would be the merchandise sold in the hall. I think we can safely avoid the toilets issue. Theaters are full of people who have paid before entry. Their decision to pay is based on information they got at an earlier stage. And they are paying for the performance, not the merchandise (though they may do that too). It would be great if people would pay to read your blog but getting them to buy your e-book is the closest you’re likely to get. Some theater visitors see their visit to the bar as an important part of their evening out. For others, it is where they stay at break times and make themselves comfortable by pulling up a chair and having a drink. They may, or may not, take the opportunity to start a conversation with complete strangers while they wait. Somehow I can’t see your blog’s visitors making a bee line for the comments section. If you have the comments section enabled, invite your blog’s visitors to use it. Every time. Find out which calls-to-action work best to engage your readers. Consider if using a forum or community instead would give your readers a better opportunity to react to each others’ ideas too, and give you ideas for new blog posts at the same time. Invite non-commenters to reach out to you on social media. Specify your favorite channel(s) for conversations. This way you may be able to start the conversation elsewhere. Are your ads in the right place, or are they really crammed in a draughty hall where visitors come only out of necessity? If you write short posts and have adds trailing down the page, that is not going to work for clicks. Try to find a balance on your page by reducing the quantity of ads. Be creative in your ad choices. Affiliate marketing is really nice, right up until the moment when your activity on the web causes every single website or blog you visit to boast exactly the same ad. Are your ads blocking your audience’s view of the stage? Pop-up ads don’t always work. This is especially true in a mobile view because they can get seriously in the way of reading – and the enjoyment of the experience. What you risk is either people leaving your site, or adopting a business-like attitude to your information and assessing it on a more rational – or sceptical – basis than if they had been able to read your whole post without getting interrupted. Of course, if you’re delivering high-quality content on a regular basis, visitors may be lenient on this point. On a related note: Floating sharing bars. These bars look great on a full size screen – but they are really annoying if you maximize the text for easy reading on a small screen. Make sure they don’t get in the way and that they work as expected. Press every single button yourself for preference. Check your blog regularly as you make changes to it. 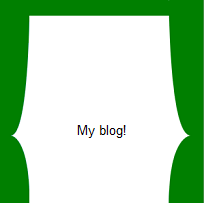 How does your blog look on a tablet, laptop or on a smartphone? Change one thing (add one widget) at a time so you can compare your blog’s performance and looks and remove your change if necessary. A page, for example, that repeatedly flips back to the top when you try to scroll down will not help your visitors. Be wary of how you present your gifts. Do you surprise your audience with a FREE nice gift then tell them to fill out a form in the next screen? Take your audience seriously. Show them that what they are getting from you is worth giving their time as well as their input. This is especially important if you ask them for seemingly irrelevant information that is in fact essential to you. And remind them that you do appreciate their efforts. This entry was posted in Blogging and tagged blogging, readers by ContentRambler. Bookmark the permalink.